The L&N Magazine is published by the Historical Society four times a year. 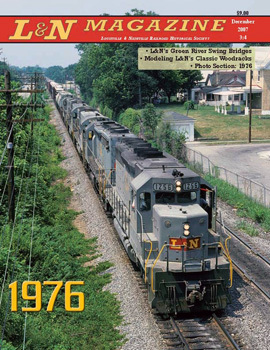 Each issue contains articles of historical interest, reviews, and current news of the former L&N system. Rosters of equipment, technical data and historical and modeling information are just a few of the topics covered in the pages of the magazine. It is intended to be a nearly-academic publication, and the basis for eventual further research.